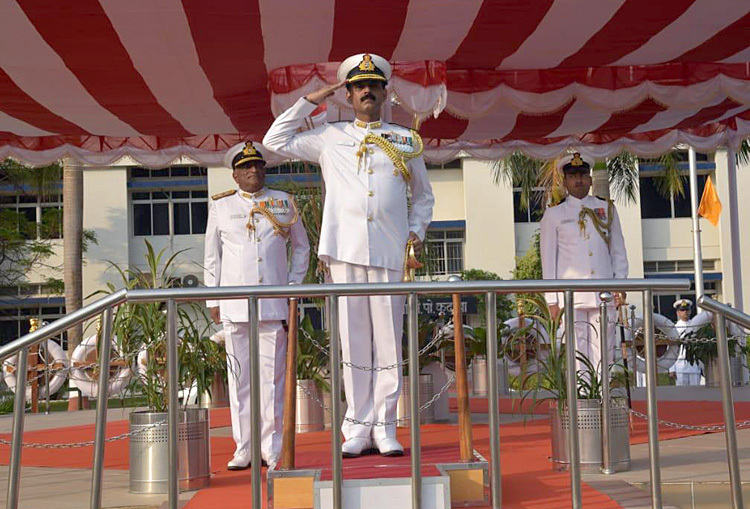 Rear Admiral Mahesh Singh, NM assumed charge as Flag Officer Commanding Karnataka Naval Area at a ceremonial parade at Karwar on March 30, 2019. 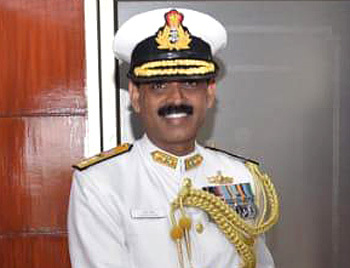 An alumnus of the National Defence Academy, he was commissioned into the Indian Navy in January 1987 and is a Navigation and Direction specialist. 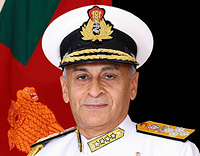 His notable sea appointments include commissioning crew of INS Akshay and Jyoti, Executive Officer of Frigate Tabar and Command of missile vessel INS Nirghat during Op Vijay, MCGS Vigilante whilst on deputation to Government of Mauritius and the LPD INS Jalashwa. 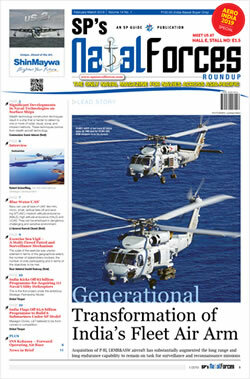 His staff assignments include tenures as Joint Director at the Directorate of Naval Operations and Principal Director at Directorate of Personnel. 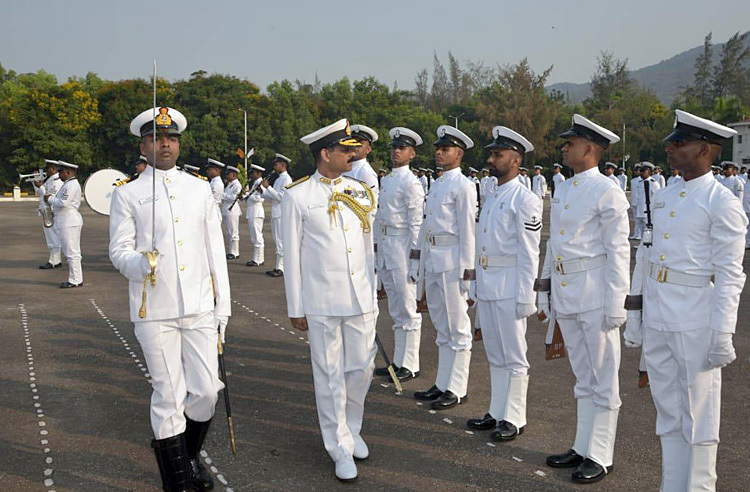 He has also headed the Navigation and Direction School at Kochi and the Maritime Warfare Centre at Visakhapatnam. He is a post graduate from the Defence Services Staff College and the College of Defence Management Secunderabad. He has also attended a course at the prestigious Royal College of Defence Studies UK. 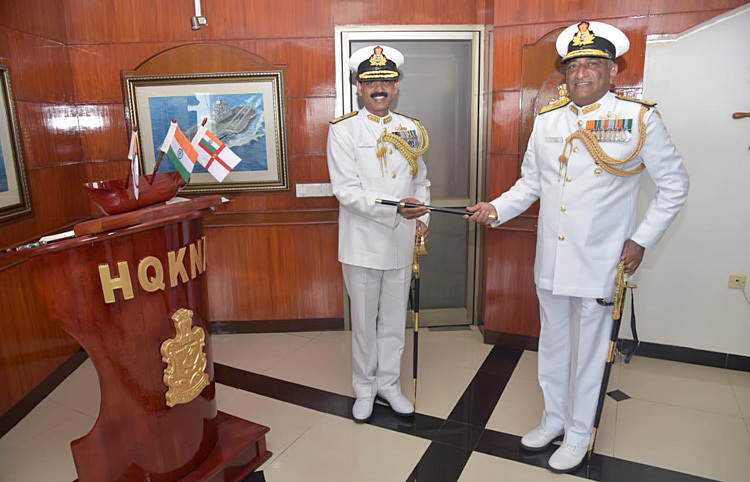 On promotion to the rank of Rear Admiral in October 2016, he was appointed as the Chief Staff Officer (Operations) at Headquarters Eastern Naval Command. The Flag Officer is a recipient of the Nao Sena Medal for Devotion to Duty.